Edda sporting her silly bandz! The latest (and probably already over) kid craze! 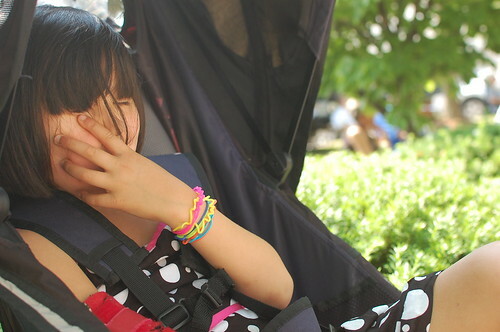 This was the first year since Edda's diagnosis that I did not go to the Rett Syndrome family conference (it was in Colorado this year) over Memorial Day weekend, it has now been almost 4 years since the day we found out that Edda had a missing guanine that made the connections in her brain go haywire. I did not make a conscious decision that I would not go, it was more like that the weekend was upon us and all of a sudden I saw a lot of Facebook updates and I realized, hey! I guess I'm not going. 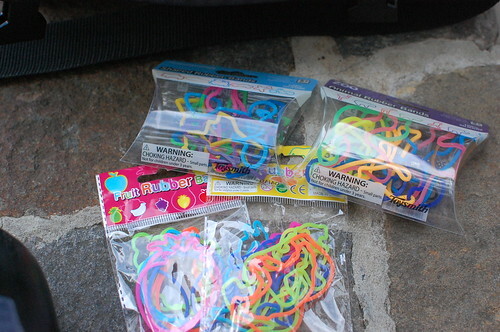 Here is what a package of silly bandz look like. I don't really get the allure, but you can't argue with a crazy craze. I wanted to post this video which talks about the present state of the research for finding a cure for Rett, it's almost 30 minutes, but the whole thing is worth watching, I found it informative.